Developed by Board Certified Professional Ergonomist, Danielle Barzoloski, MPT, CPE, our Advance Office Assessment course helps learners identify and resolve the common risk factors in today's traditional and non-traditional office environments. The different arenas of ergonomics solutions - Engineering Controls, Administrative Controls and Work Practices will be explored. Also included is an in-depth look at repetitive motion disorders. Other topics include, but are not limited to, the impact of the aging workforce, obesity, and the huge impact of posture on office ergonomics. 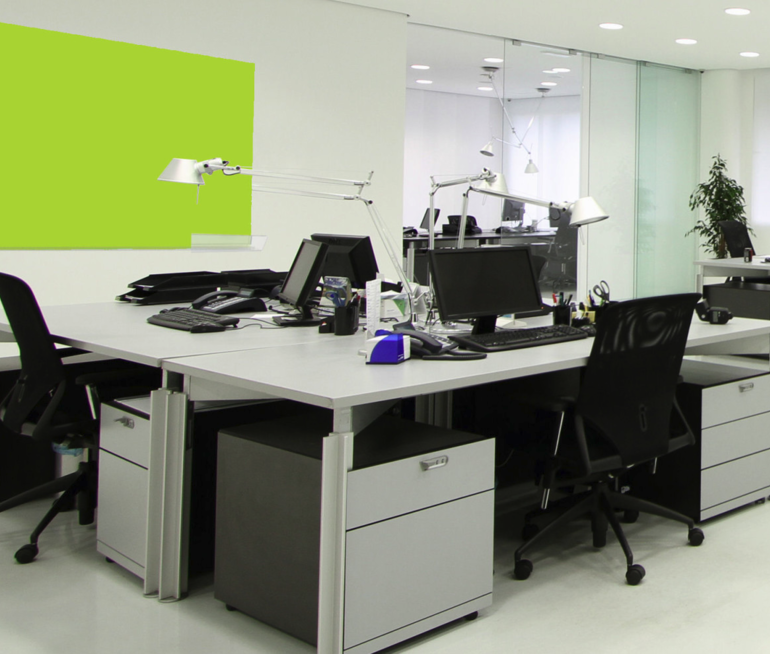 Ergonomics in alternative kinds of office settings is explored, as are the advantages and disadvantages of all types of office equipment and accessories. An in-depth look at performing an onsite office assessment is presented. Students will view a variety of case studies, from standard offices and cubicles, to non-standard environments like the automobile or hotel room, about resolving a cross section of ergonomics risks. 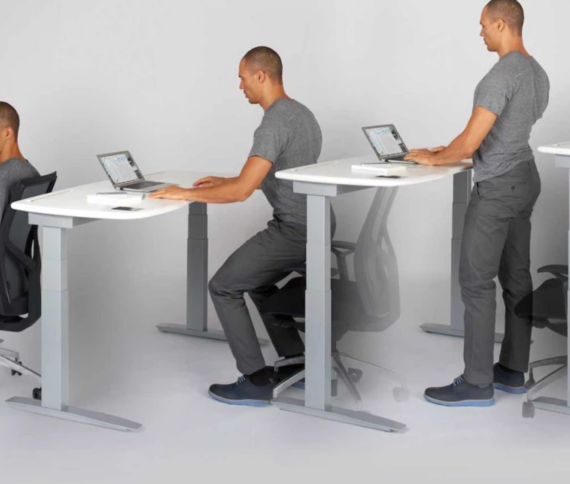 Application of these principles contributes to the reduction of ergonomics injuries and increases productivity and employee satisfaction. Students will also examine a wide range of ergonomics equipment useful in mitigating risk. You will also learn how to perform a detailed cost-benefit analysis, outlining the return on investment of effective ergonomics intervention. The time frame for completing the online course is 60 days for each participant. There are no prerequisites for this course but some background and experience in ergonomics assessments is recommended. Registrants must choose two office jobs from the accompanying videos to analyze, using the checklists provided or you may develop and use a checklist of your own design. Registrants must submit a checklist and a written report for each of the two jobs reviewed. Reports should be similar to examples shown in the course. After completing the Course Evaluation, your course work submissions will be personally reviewed by an instructor, who will provide written feedback. You will be notified via email when your Certification has been approved. Your Advanced Office Ergonomic Assessment Specialist (AOEAS®) Certificate will then become available to download as a PDF and you will receive 9 contact hours. This course is currently pre-approved for Continuing Education CEs by the BOC, CRCC and COPSKT. The Back School is also an AOTA Approved Provider (#4849) and is authorized to offer AOTA 9 contact hours for this class. AOTA Classification Codes: Category 1: Domain of OT & Category 2: Occupational Therapy Process. The assignment of AOTA CEUs does not imply endorsement of specific course content, products, or clinical procedures by AOTA or indicate AOTA approval of a certification or other professional recognition. View the Workshop Presentation Modules. Take and pass a 50-question exam with a 90% correct score. Registrants must choose two office jobs from the accompanying videos to analyze, using the checklists provided or you may develop and use a checklist of your own design. Registrants must submit a checklist and a written report for each of the two jobs reviewed. Reports should be similar to examples shown in the course. "Thought it was great. As much as I thought I already knew, much of the content was eye-opening." "Excellent course! I feel so much more confident now that I am certified." Danielle Barzoloski is a physical therapist and board certified professional ergonomist. 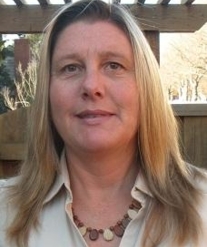 She has over 20 years of experience in occupational health and injury prevention. Her clinical expertise is in work related musculoskeletal injuries and she has an extensive knowledge base in performing functional capacity evaluations, work hardening, pre-employment screens and ergonomic evaluations. Since 1998 she has worked for a large multi-campus medical center performing ergonomic evaluations, injuring prevention services and assisting in the return to work process. She currently manages the ergonomics programs for several medical centers, a physician network and an allied health university within this healthcare system. Her healthcare ergonomics experience has included patient handling, laboratory, pharmacy, dietary, environmental services, engineering as well as office ergonomics. Danielle is a graduate of the University of California, San Francisco/San Francisco State University Physical Therapy Program and is a member of the APTA and the Association of Safe Patient Handling Professionals. She is a guest lecturer at Samuel Merritt University in the Doctorate of Physical Therapy Program. 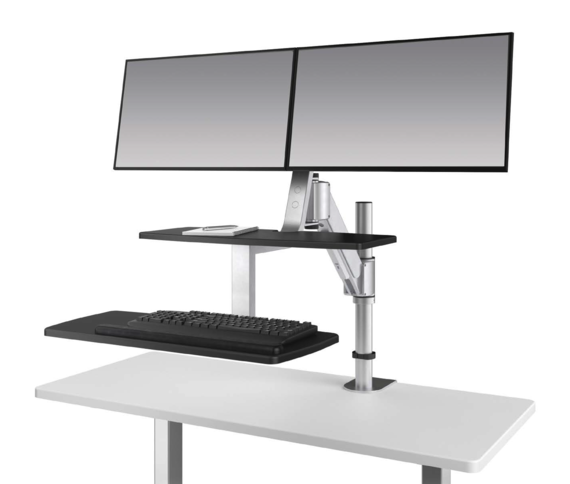 The Ergorise Climb2 is a highly versatile, dual-monitor, sit-stand solution for offices with existing desktops. Free Shipping!